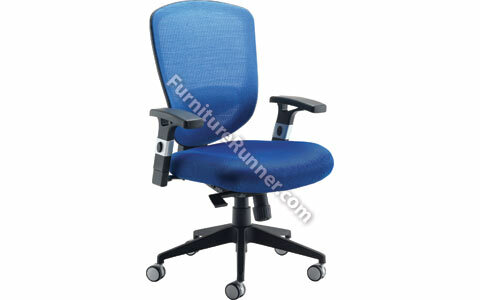 Arista High Back Chair is a new contemporary mesh task chair offering style and ?exibility. Recommended usage time 8 hours. Seat dimensions: W530 x D520mm. Back dimensions: W500 x H555mm. Seat height: 460-520mm. Adjustable arms included.